Good news, just give us a call and we can help you. We are available for you Monday - Saturday. Are you on vacation in Miami ? Everyone deserves to function well. When the spine is free of vertebral subluxations it will function better. Whether you've been to a chiropractor before or you've never been to a Chiropractor, you may be wondering what to expect during your first visit. It is important to us that you understand what it is that we do so we can properly meet and even exceed your expectations. Chiropractic in this office is focused on the detection, localization and specific adjustment of vertebral subluxation in the spinal column. Subluxation is a term used to describe what occurs when vertebra are improperly aligned causing pressure or interference within your nervous system. Chiropractic may very well be on of the least understood philosophies of life and health. It is based upon a few very simple ideas. The body is designed with an inborn ability to maintain itself in a state of proper function. A newborn baby may seem small, fragile and helpless, but within that body is the ability to make food into living tissue, to heal cuts and bruises, to adapt to changes in the environment, to produce the chemicals necessary to perform every bodily function, to fight off invading organisms, to live as much as 100 or more years, in short, to lead a healthy, productive life. Dr. Cindy believes that everyone deserves good health! Too many people go through life just “getting by,” unaware that there’s so much more waiting for them. If only they knew. People who visit often remark that what they find here is different. It’s not a typical office experience where a doctor speaks in mysterious jargon and tells them what to do and not to question it. They tell me they have a new and better understanding of their life and health. They also tell me they wish someone had told them these things long ago. 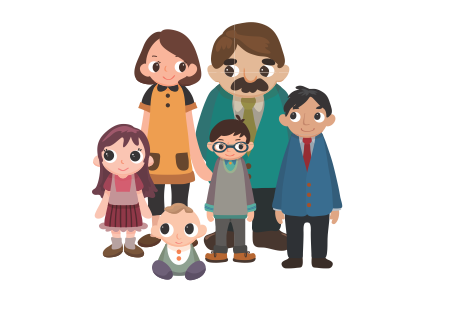 Our goal is to help people be their best - and that is much more possible when they are empowered and in control. Start living your best today! The Key to Good Health is proper function of the body! The nervous system controls every function of the body; every system, every organ, every tissue - right down to every individual cell. Everything you do, everything you are or could be - every potential you were born with and are destined to fulfill - can only happen when the brain is in control. The brain is surrounded by the skull, 22 bones locked together to make a natural crash helmet. The spinal cord, containing the nerve connections to the body, is surrounded by spinal bones, or vertebrae.  The spine is made of many bone segments which house and protect the spinal cord and the smaller spinal nerve branches that come off the spinal cord and exit between the bones. These nerve pathways carry information or messages between the brain and the cells of the body. These messages are essential for the life of the cells. Without vital brain messages, the cells immediately begin the process of dying; i.e., they can no longer function the way they should to maintain life. Unlike the bones of the skull, the bones of the spine are not locked together, they are movable - - which means they can misalign. If they misalign, even a little, they can interfere with the nerves and keep brain messages from reaching the body perfectly. Ultimately, this can also interfere with the ability of the person to function at their best or express their optimum potential. Modern chiropractic deals with this particular, common situation, called a vertebral subluxation. People with vertebral subluxations are not able to get all they can out of life. These stresses can be physical - such as accidental trauma, sleeping posture and mattress condition, the birth process, sneezing, falling down, etc. mental / emotional - in its many forms, probably the most familiar use of the word stress - or chemical - such as pollution, drugs, etc. - all of which are, unfortunately, regular parts of daily living for all age groups. In short, a vertebral subluxation can occur for a multitude of reasons. Tragically, vertebral subluxations usually have no symptoms. The reason is that most of what goes on inside you happens without your awareness. As an example, try to "feel" your liver. What's it doing right now? You can't know, so you can't know if it's functioning at its best or something less. To complicate things, nerve pathways that carry messages of control (termed "motor" nerves) have no way of transmitting ache or pain messages, so your body function may be far from perfect and you'd not have any alerting signal whatsoever. In addition, and quite relevant to whether any sensations are related to vertebral subluxation, the branching of the nerve pathways is quite complex and extensive, making it exceedingly difficult to predict or determine exactly how the person will be affected. How Do You Know if you have a vertebral subluxation? The only way to know if someone has a vertebral subluxation is to have that person’s spine checked by a chiropractor using a method of "analysis." This is the only valid determinant of vertebral subluxation. When a vertebral subluxation is detected this way, it is obviously important to correct it as soon as possible. The term for this is “adjustment,” and can be accomplished in a variety of ways, depending upon the unique vertebral subluxation and the individual person. Dr. Cindy uses gentle, specific adjustments. This Is About Your Life Live it BIG! Since vertebral subluxations are caused by so many different things, people choose to go to a modern chiropractor on a regular basis to enjoy the most time free of the life-robbing effects of vertebral subluxation. A key question: Is someone better off with vertebral subluxation / nerve interference or free of subluxation / with the nerve channels open? It is easy to see that having all the available nerve messages getting through is better than only some of them getting through, regardless of the person's situation otherwise. 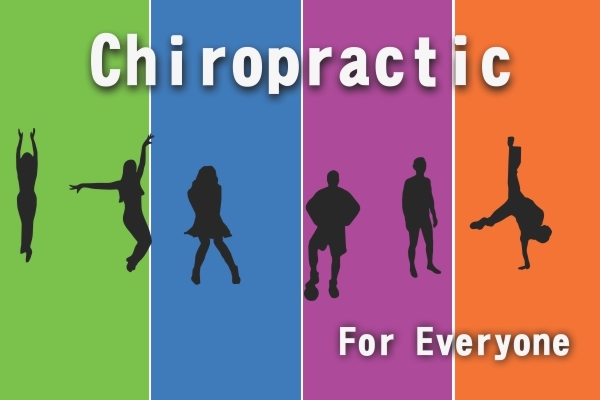 There's a saying that chiropractic is not about your back, it's not about your pain, it's about your life. Each person has a unique potential in life. With vertebral subluxation, it's impossible to realize that potential. I invite you to call me today. I look forward to serving you and your family! Is to live in a world where everyone understands chiropractic and the importance of getting their spines checked regularly, as I do, for vertebral subluxations. Chiropractic is my passion! I love educating people about chiropractic, checking spines for vertebral subluxations and adjusting people of all ages from newborns to the elderly.